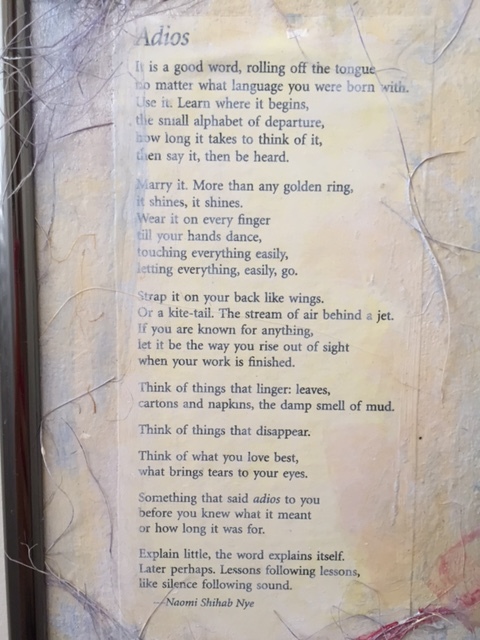 I read this poem, fittingly, on my last day in Colorado. It was a part of a piece of artwork created by one of my hosts. When I was feeling sentimental about my vacation and adventure time coming to an end. It made so much sense to me, so beautifully soft and eloquent. I can’t help but want to share it.